One of my most famous lighthouse images. I captured this photograph of Nubble Lighthouse at twilight after the sun dropped and the sky turned a deep blue. This image won a number of awards and was featured in an art book showcasing the highest scoring photographs in the country. 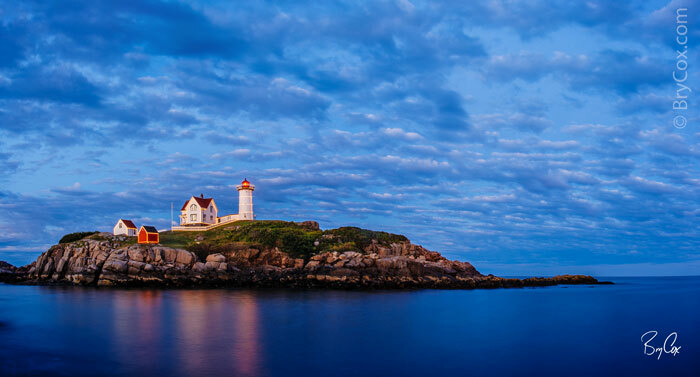 I have it large on my wall and love the warmth from the lighthouse mixed with the deep blues.